A lot of volunteers pick up litter, serve food or build houses. But not all are backdropped by the snow-capped peak of Mount Adams in southern Washington state. Third-year rehabilitation science major Bethany Lindsey saw this scenery firsthand when she volunteered with Sacred Road Ministries, a group under Hope Fellowship Church. Sacred Road is a church within the Yakama Native American reservation, the largest Indian reservation in northwest America. But the Yakama Nation’s beautiful homeland comes at a price. Their destitute story began in 1855, when they reluctantly signed a treaty with the United States government reducing their land by 17,000 square miles, leaving them with a mere nine percent of their original land. Among the population of roughly 10,000 Native Americans that remain are people and families living in impoverished conditions, in shacks and unsafe housing conditions, some even without electricity or heating. The federal government has a program designed to combat emergency situations such as these. In 1979, President Jimmy Carter created the Federal Emergency Management Agency. FEMA works with citizens to protect and fight against dangers and disasters that local governments are unequipped to handle. But in their time of need, FEMA failed the Yakama Nation — and it comes as no surprise. This failure follows FEMA’s trend of ignoring minority communities in their times of need. The Yakama nation’s time of need came in 2011, when a fire burned down 18 houses and left roughly 120 Yakama people without homes. Local news outlets covered the event with fervor due to the sheer number of people dislocated from only a few homes. Lindsey worked with Chris Granberry, the pastor of the Hope Fellowship and founder of Sacred Road Ministries. Granberry has worked firsthand with the Yakama Nation for years, and although not Yakama himself, he has had the opportunity through ministry to learn about their culture. Granberry explained in an interview that it’s culturally common for many Yakama people to live in a single home, and that’s why so many people were affected by this event. As soon as the fire was put out, the tribal government contacted FEMA and declared a state of emergency. 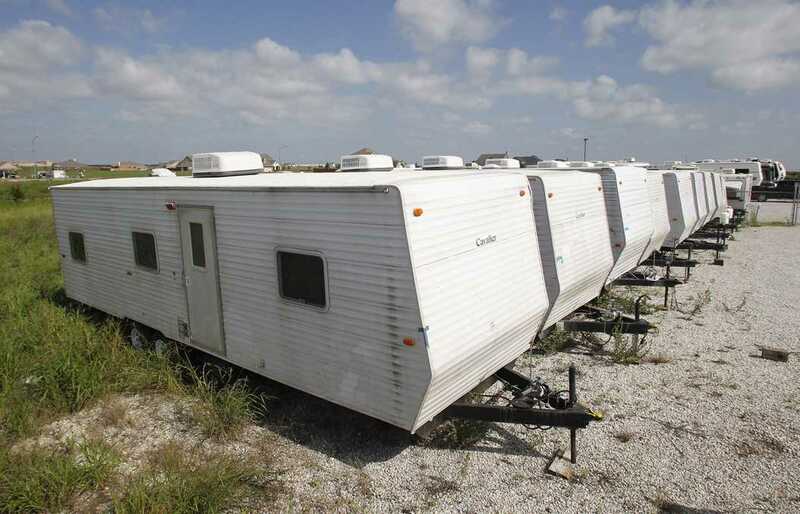 In response, FEMA sent aid trailers that were meant to be temporary housing for displaced citizens. But the aid didn’t arrive promptly — Granberry said that it took months for FEMA to deliver the trailers, at which point most displaced families had already found places to stay. For one family, it took 10 months before they could move into their single-wide trailer. And even when the Yakama people did eventually receive the trailers, they weren’t suitable for habitation on the reservation. They required a sewage system that the community did not have, and it wasn’t until two years after the fire that the trailers became habitable. FEMA quickly lost credibility in the eyes of the Yakama people. “I don’t understand, [the] management [of FEMA] …” Granberry said. “They are supposed to have a rapid response to a crisis, trailers in the region that should be shipped out rapidly. I don’t think any of the people that lost their homes in the fire ever went to the trailers”. The organization received similar criticism in 2005 for how it chose to distribute resources in the aftermath of Hurricane Katrina. When the storm’s devastation disproportionately affected African-American communities, it took many days until FEMA brought supplies to the displaced. And when it finally did, 63 percent of the FEMA trailers were appropriated for white neighborhoods while predominately African-American neighborhoods that sustained greater damage from the hurricane only received 13 percent of the trailers. After receiving criticism about the way it responded to Katrina, FEMA took precautions to be better prepared for future natural disasters. Take Hurricane Sandy, for example. According to FEMA’s official report, the organization made pre-landfall preparations for the storm and immediately got to work, unlike for Katrina. Sandy also differed from Katrina and the fire in that it primarily affected affluent white communities. And while FEMA did give more efficient aid to those affected by Sandy, it also displayed implicit racial bias by responding with more fervor to this disaster that primarily affected majority communities. Issues like these continue to demonstrate that minority communities far too often receive subpar aid, whether intentionally or not. Bias like this is institutionalized in all areas of society, whether in law enforcement, education or economic mobility. These characteristics travel back to deep-seated themes of implicit racial bias not only within FEMA, but throughout our entire country. Instead of ignoring the problem, change must start somewhere, and here we have an opportunity through federal aid programs to display our nation’s commitment to racial equality. Our government already has taken their land, deprived them of their culture and ignored their concerns as a people. Instead of continuing this trend, government agencies should be vehemently committed to providing equal assistance to all. Even though smaller disasters like fires usually don’t receive national attention and often go unseen, events like this exemplify racial discrepancies within FEMA’s response to communities dealing with disaster. It is time that FEMA take the skills it demonstrated during Hurricane Sandy and apply them to all communities, not simply those that are affluent or white. And hopefully, FEMA’s leadership by example will permeate the rest of our society and we can move toward equality for all. Saket primarily writes on politics for The Pitt News. Write to Saket at smr122@pitt.edu.